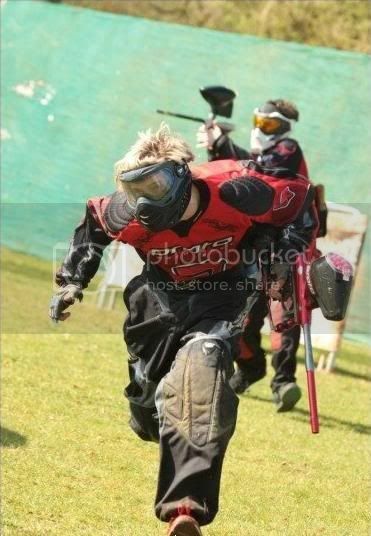 Broken Paintball, is a team located in the South of England in a town called Bournemouth. We are Speedball specialists, although love a bit of scenario and recreational play from time to time. We have all levels of players on our team from division 2 to beginners and our team represents just that! We have a great laugh and are incredably social, but at the same time are dedicated and take our training sessions and drills seriously. Look out for us in the 2010 season. Formed in Jan 2009, the team is a collection of old and new players. Some from NSK, Xtreme Velocity, In 2 Deep and some converted Woodsball players "whey hey!" We are always looking to bring more players into the team and the sport. Paintball is like Chess, It takes 5 minutes to learn, but a lifetime to master.